It should be noted that in an inductance the current lags the voltage by 90 degrees and in a capacitor the current leads the voltage by 90 degrees. These relationships are very important for drawing phasor diagrams. The relevant Standards on this device recommend a continuous overload capacity of 30%. A capacitor can have a tolerance of up to +15% in its capacitance value. All current-carrying components such as breakers, contactors, switches, fuses, cables and busbar systems associated with a capacitor unit or its banks, must therefore be rated for at least 1.5 times the rated current. The rating of a capacitor unit will thus vary in a square proportion of the effective harmonic voltage and in a direct proportion to the harmonic frequency. This rise in kVAR, however, will not contribute to improvement of the system power factor. but only of the overloading of the capacitors themselves. Therefore it may, however, sometimes be desirable to further enhance the overloading capacity of the capacitor and so also the rating of the current-carrying components if the circuit conditions and type of loads connected on the system are prone to generate excessive harmonics. Examples are when they are connected on a system on which we operating static drive and arc furnaces. It is desirable to contain the harmonic effects as far as practicable to protect the capacitors as well as inductive loads connected on the system and the communication network, if running in the vicinity. 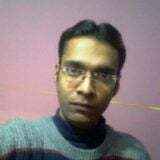 Hence as per above discussion when determining the actual load current of a capacitor unit in operation, a factor of 1.15 is additionally considered to account for the allowable tolerance in the capacitance value of the capacitor unit. Effective kVAR = 1.3 x 1. I5 = 1.5 times the rated kVAR and for which all switching and protective devices must be selected. It is common practice to leave the star-connected capacitor banks ungrounded when used in the system or use delta-connected banks to prevent the flow of third harmonic currents into the power system through the grounded neutral. Use of filter circuits in the power lines at suitable locations, to drain the excessive harmonic quantities of the system into the filter circuits. A filter circuit is a combination of capacitor and series reactance, tuned to a particular harmonic frequency (series resonance), to offer it the least impedance at that frequency and hence, filter it out. Say, for the fifth harmonic, Xc5 = XLS. The use of a reactor in series with the capacitors will reduce the harmonic effects in a power network, as well as their effect on other circuits in the vicinity, such as a telecommunication network. The choice of reactance should be such that it will provide the required detuning by resonating below the required harmonic, to provide a least impedance path for that harmonic and filter it out from the circuit. The basic idea of a filter circuit is to make it respond to the current of one frequency and reject all other frequency components. At power frequency, the circuit should act as a capacitive load and improve the p.f. of the system. Failure of capacitor units and inductive loads connected generate harmonics in the system. It should be ensured that under no condition of system disturbance would the filter circuit become capacitive when it approaches near resonance. To achieve this, the filter circuits may be tuned to a little less than the defined harmonic frequency. Doing so will make the Land hence XL, always higher than Xc, since This provision will also account for any diminishing variation in C, as may be caused by ambient temperature, production tolerances or failure of a few capacitor elements or even of a few units during operation. The power factor correction system would thus become inductive for most of the current harmonics produced by power electronic circuits and would not magnify the harmonic effects or cause disturbance to a communication system if existing in the vicinity A filter circuit can be tuned to the lowest (say the fifth) harmonic produced by an electronic circuit. This is because LT capacitors are normally connected in delta and hence do not allow the third harmonic to enter the circuit while the HT capacitors are connected in star, but their neutral is left floating and hence it does not allow the third harmonic to enter the circuit. In non-linear or unbalanced loads, however, the third harmonic may still exist. For a closer compensation, uni-frequency filters can be used to compensate individual harmonic contents by tuning the circuit to different harmonics. For more exact compensation, the contents and amplitudes of the harmonic quantities present in the system can be measured with the help of an oscilloscope or a harmonic analyzer before deciding on the most appropriate filter circuit/circuits. Theoretically, a filter is required for each harmonic, but in practice, filters adjusted for one or two lower frequencies are adequate to suppress all higher harmonics to a large extent and save on cost. If we can provide a series reactor of 6% of the total kVAR of the capacitor banks connected on the system, most of the harmonics present in the system can be suppressed. With this reactance, the system would be tuned to below the fifth harmonic (at 204 Hz) for a 50Hz system. The basic principle of this relay is the sensing of the phase displacement between the fundamental waveforms of the voltage and current waves of power circuit. Harmonic quantities are filtered out when present in the system. This is a universal practice to measure the p.f. of a system to economize on the cost of relay. The actual p.f. of the circuit may therefore be less than measured by the relay. But one can set the relay slightly higher (less than unity), to account for the harmonics, when harmonics are present in the system. From this phase displacement, a D.C. voltage output is produced by a transducer circuit. The value of the D.C. voltage depends upon the phase displacement, i.e. the p.f. of the circuit. This D.C. voltage is compared with a built-in reference D.C. voltage, adjustable by the p.f. setting knob or by selecting the operating band provided on the front panel of the relay. Corrective signals are produced by the relay to switch ON or OFF the stage capacitors through a built-in sequencing circuit to reach the desired level of p.f. A little lower p.f. then set would attempt to switch another unit or bank of capacitors, which may overcorrect the set p.f. Now the relay would switch off a few capacitor units or banks to readjust the p.f. and so will commence a process of hunting, which is undesirable. To avoid such a situation the sensitivity of the comparator is made adjustable through the knob on the front panel of the relay. The sensitivity control can be built in terms of phase angle (normally adjustable from 4 to 14 degrees electrical) or percentage kVAR. The sensitivity, in terms of an operating band, helps the relay to avoid a marginal overcorrection or under correction and hence the hunting. As soon as the system’s actual p.f. deviates from the pre-set limits, the relay becomes activated and switches in or switches out capacitor units one by one, until the corrected p.f. falls within the sensitivity limit of the relay. Electromagnetic (being quickly outdated). They are very slow, and may take up to 2 minutes or more to initiate a correction. Solid state-based on discrete ICs. Solid state-based on micro-controllers (microprocessors). A time delay is built in to allow discharge of a charged capacitor up to 90% before it is reswitched. This is achieved by introducing a timer into the relay’s switching circuit. The timer comes on whenever an OFF signal occurs, and blocks the next operation of a charged capacitor, even on an ON command, until it is discharged to at least 90% of the applied voltage. This feature ensures safety against an overvoltage. Normally this time is 1-3 minutes for LT and 5-10 minutes for HT shunt capacitors unless fast-discharge devices are provided across the capacitor terminals to reduce this time. Fast-discharge devices are sometimes introduced to discharge them faster than these stipulations to match with quickly varying loads. The ON action begins only when the timer is released. The time of switching between each relay step is, however, quite short, of the order of 3-5 seconds. It includes the timings of the control circuit auxiliary relays (contactors). It may be noted that of this, the operating time of the static relay is scarcely of the order of three to five cycles. In rapidly changing loads it must be ensured that enough discharged capacitors are available in the circuit on every close command. To achieve this, sometimes it may be necessary to provide special discharge devices across the capacitor terminals or a few extra capacitor units to keep them ready for the next switching. It may require a system study on the pattern of load variations and the corresponding p.f. Fast switching, however, is found more often in LT systems than in HT. HT systems are more stable, as the variable loads are mostly LT. The above discussion is generally related to IC-based solid-state relays and in most parts to microprocessor based relays of the more rudimentary types. The selection of capacitor rating, for an induction motor, running at different loads at different times, due either to change in load or to fluctuation in supply voltage, is difficult and should be done with care because the reactive loading of the motor also fluctuates accordingly. A capacitor with a higher value of kVAR than the motor kVAR, under certain load conditions, may develop dangerous voltages due to self-excitation. At unity power factor, the residual voltage of a capacitor is equal to the system voltage. It rises at leading power factors. These voltages will appear across the capacitor banks when they are switched off and become a potential source of danger to the motor and the operator. 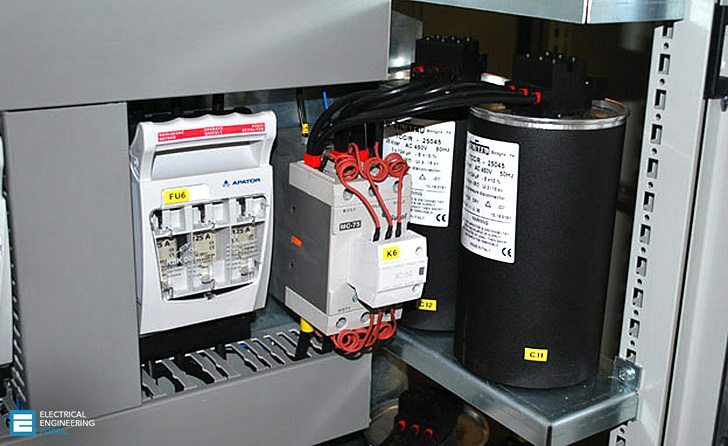 Such a situation may arise when the capacitor unit is connected across the motor terminals and is switched with it. This may happen during an open transient condition while changing over from star to delta, or from one step to another, as in an A/T switching, or during a tripping of the motor or even while switching off a running motor. In all such cases the capacitor will be fully charged and its excitation voltage, the magnitude of which depends upon the p.f. of the system, will appear across the motor terminals or any other appliances connected on the same circuit. The motor, after disconnection from supply, will receive the self-excitation voltage from the capacitor and while running may act as a generator, giving rise to voltages at the motor terminals considerably higher than the system voltage itself. The solution to this problem is to select a capacitor with its capacitive current slightly less than the magnetizing current, Im, of the motor, say, 90% of it. If these facts are not borne in mind when selecting the capacitor rating, particularly when the p.f. of the motor is assumed to be lower than the rated p.f. at full load, then at certain loads and voltages it is possible that the capacitor kVAR may exceed the motor reactive component, and cause a leading power factor. A leading p.f. can produce dangerous overvoltages. This phenomenon is also true in an alternator. If such a situation arises with a motor or an alternator, it is possible that it may cause excessive torques. Keeping these parameters in mind, motor manufacturers have recommended compensation of only 90% of the no-load kVAR of the motor. irrespective of the motor loading. This for all practical purposes and at all loads will improve the p.f. of the motor to around 0.9-0.95. which is satisfactory. Motor manufacturers suggest the likely capacitor ratings for different motor ratings and speeds. Why current limiting reactors are not used in series with capacitor bank of EHV level ie,110/132Kv? Pl explain. do you have any article published on LV switch gear control diagrams. why do we use 6% line side reactor with capacitor bank. Why only exact 6% , why not some other figure. What is the reason. But capacitor banks are either connected in star or in delta configuration. What are the expressions of the current drawn from capacitor in both star and in delta configuration?? Does capacitor bank improves low voltage problem? How to size the kVAr for individual compensation? Some charts with the kVAr selection based on RPM of the motor are available. On what basis this charts were prepared? Are there any formulas to calculate them? yes for motors some special constraints needs to be taken care based on those constrants a kW and RPM Vs kVAR chart can be prepared. For motors we select a capacitor with its capacitive current slightly less than the magnetizing current, of the motor, say, 90% of it. At voltages lower than rated, the no-load current, In, and the magnetizing current, of the motor is low and rises with the voltage. At loads lower than rated, although the p.f. will diminish sharply the reactive component I, and the no-load current Ink, will remain the same.If these facts are not borne in mind when selecting the capacitor rating, particularly when the p.f. of the motor is assumed to be lower than the rated p.f. at full load, then at certain loads and voltages it is possible that the capacitor kVAr may exceed the motor reactive component, and cause a leading power factor. A leading p.f. can produce dangerous overvoltages. This phenomenon is also true in an alternator. If such a situation arises with a motor or an alternator, it is possible that it may cause excessive torques. Keeping these parameters in mind, motor manufacturers have recommended compensation of only 90% of the no-load kVAr of the motor. irrespective of the motor loading.This. for all practical purposes and at all loads, will improve the p.f. of the motor to around 0.9-0.95. which is satisfactory.